This card features one of my new watercolor stamps, Watercolor Fuchsia - I colored directly on the rubber with Gelatos, misted and stamped, then added more detail to the stamped image with Albrecht Durer Watercolor Pencils. The splattering was done with watered down Gelatos and a longer detail brush. Here are a couple of close-ups of the background panel - I took a few liberties with today's Layered Gesso Background tutorial over at Splitcoaststampers (adding an extra layer of paint, and omitting the dimensional medium). It's a great tutorial for the beginning mixed media artist, and a great jumping point once you get a little more experience under your belt. There's a video tutorial, too, with lots of extra hints for you! For my card, I used layers of gesso, paint, Colorbox Fluid Chalk ink, and InkaGold (copper). The burlap ribbon is from The Stamp Simply Ribbon Store. I heated the organza ribbon very lightly with my heat gun to ripple it and shape it to a curve. Love your card. Love fuchsia. Gorgeous. Didn't quite understand painting directly onto the rubber. I need to go back and check some tutorials. Anyhow.....rich and elegant!!! I just watched the mixed media video and now with your card using gelatos, I am inspired to pull out my supplies and do these fun techniques. Your card is just beautiful! Gorgeous. I love this flower so much. I have tried Fuchsia hanging baskets so many times and sadly cannot keep them going, so sad. Now maybe I can have the Fuchsia another way, and I do have Gelatos, yay. This is so beautiful-very unique! Wow - great card. Love what you did with the markers and heating the ribbon. Great idea and effect. Beautifully done...gorgeous fushia, makes me want to get out my Gelatos!! Love the background on this card - so striking! Another stunning water coloring. I want all of these stamps, they are so incredibly beautiful! This really looks like a work of art, like you painted it by hand. Lovely! Love your card as always! Beautiful card... loved the watercolor effect with gelatos. Gorgeous card! Love the background! Thanks for the link (Layered Gesso Background). very pretty Dina - loving your new stamps! Love the use of mixed media! Lovely ribbon treatment to go with your flower! The fuchsia is just beautiful! Great card for any occasion. I'm really loving all of your new flower stamps! I can never seem to stop collecting flower stamps. Wow, your card is amazing! The fuchsia is gorgeous! Very pretty. Thanks for the ribbon tip. Gorgeous card! I love the soft watercolor look of the fuchsia. Beautiful stamp! My mom always had Fuchsia plants...thanks for the wonderful memories! Beautiful card! Dina - I like the crinkle bow on your card - and the entire card is just lovely! Love fuchsias. I have several in my backyard. OH! 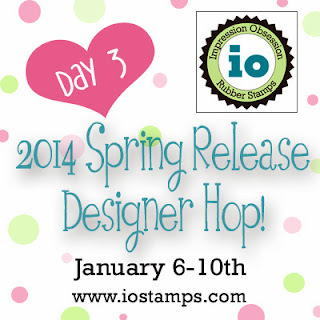 I love the new watercolor look stamps! When in the right hands they sure do make beautiful projects! :) (Still a beginner I am) I love the trick you did with the ribbon! Very creative, thank you for sharing! Dina, if I knew only half as much as you do about painting techniques, I would be thrilled. You amaze me. The background you created for your card, this is an amazing color palette and a beautiful backing for that gorgeous fuchsia. Beautiful water coloring. I absolutely love this. Very pretty watercoloring, I love to use the gelatos, so many ways to use them. Love the stamp. I have gelatos so I'm going to try this. Thanks for the inspiration of a truly wonderful card! I just bought Gelatos and will try this technique out. Your card is gorgeous. The technique is amazing, makes your beautiful flower look so real! Gorgeous card, one of my favorite flowers! How fun to see how you use your own stamp to make such a beautiful piece!!! I've never tried using Gelatos right on the stamp. Need to do that!! Beautiful! Thanks for all the tips, I can't wait to check out the recommended tutorial. I absolutely love your background layering technique and your colors! Beautiful! Once again you know how to rock the background! Love how it turned out. And your flower looks beautiful too! Great job. Thanks for sharing. Just love the coloring of the fuchsia and background. Beautiful stamp and lovely technique!!! Lovely card, especially like the background! Beautiful card - now I know what to do with my gelatos which are as yet unopened. What a gorgeous card! I love the watercolour fuschia stamp - so pretty! Loved so much about your project. The watercolor technique with Gelatos is fab and I checked out the tutorial over at Splitcoast about layered backgrounds. Thanks for that. Dina...your Watercolor Fuchsia is gorgeous!!! Love the coloring on the card! Thank you for sharing this beautiful card with such subtle coloring. And also thank you for the watercolor technique with Gelatos. I received some from a friend and didn't really know how to use them. What a dainty looking flower, so pretty. I'm partial to fuchsias. Interesting technique, I really like the soft look it gives. Beautiful. I have been wanting to try Gelatos but haven't yet. One of my favorite flowers and one of my favorite cards of the day. I love gelatos. Like playing with soft crayons. Gorgeous - I love the gelatos! Lots of techniques. Thanks for the tips! Dina, I love your watercolor stamps and the Fuschia is gorgeous. The card's background is fantastic, will look up the tutorial and have a go myself! A lovely card with fabulous fushia ! This one if so beautiful... Thanks for sharing your beautiful creations.. I love your fuchsia image. You are a very talented designer. Oh so ver beautiful, I love your art work. It is always so inspiring. Dina, it looks so ethereal. When I color gelato onto my stamps, spritz and stamp, they don't turn out anything near this beautiful. You just simply have 'it,' that which I do not have :) but love to see in others such as you!